I was just wondering about the characteristics of an ideal state a few minutes ago. Let me sum up my ideas in this blog post. Note: More will be added as I get newer ideas. In other words, this is a placeholder. Economy: Free market capitalist economics with basic welfare is a must. Socialism, though good on paper and rhetoric, is a failure by implementation. Remove the bureaucratic red tapes. Let businesses start up as and when they need to, with little to no hassles. Regulation is a must. Keep strong regulations such as safety of the environment, safety of workers, cleanliness, etc, and heavy fines if violated. Infrastructure needs to be updated and prepared (literally for World War Z). Power and water need to be stable under all circumstances. Restrictions on foreign ownership, excess tariffs on foreign goods and high corporate taxes need to be removed or at least minimized. The ideal capitalist government has only 3 functions: Defense, Justice and Law & Order. Everything else has to come under privateers. But in a nation like India where natural resources and minerals are in abundance and also at risk, the government can intervene with its industries to prevent irregularities, this also with good regulation standards. Agriculture: This slogan “Jai Jawan, Jai Kisan”, is pretty much drilled into our ears almost everyday. But in reality, how much do they really care about both? It’s pretty much quantifiable and sadly much lesser than the hype. However I have proposed a solution to tackle agrarian crisis, during both famines and floods. That should pretty much curtail major agrarian disasters. However, must it be a unique case, I suggest farmers/agrarians be compensated with added basic welfare so they can survive through tough times, and depending on their abilities and situation, their debts will either be postponed, reduced or scrapped by the government. However, regarding agriculture, ALL LOANS MUST BE ISSUED FREE OF INTEREST except in the case of an extreme change in the value of the national currency (in my case the Indian Rupee) in comparison to global currencies like the US Dollar, the Japanese Yen or the Euro. Though it will take billions of dollars of investment, it’s pretty much a necessity in this era. Especially in a region like India wherein the political scenario is rather a tight rope walk. Of course, there’s a need for some human presence, as robots have their own limitations. However, after heavy initial investment, it will become the biggest asset of a nation like India. A feasible means for developing WMDs must be availed. N capable missiles and bombs must be mass produced. Samson option must also be available in the event of war. A separate commission needs to be setup to pay serving soldiers / army men and pensions for retired veterans and families of those martyred in war. This point arose in the wake of the OROP protests. Education: This topic has been covered in detail in 2 of my posts, here and here. Repeating it here is rather tiresome, so I suggest interested people to refer to my previous linked posts. The only point I want to add, in case I haven’t done so before, is that students must also be physically fit, not just intelligent. So gym / strength building classes must be made mandatory along with college education. Innovative, intelligent and fit should be the defining words for students. Environment: A smart city is one in which nature and technology co-exist. Paris and Vienna are excellent examples of smart cities. The idea is to innovate while preserving mother nature. Wastelands in India are a dime a dozen. They can be used for industrial plants instead of fertile agricultural lands. This way, nature can be preserved and mankind can innovate for the future, all at the same time. Justice and Law & Order: Indian judges and cops are pretty efficient, but why do they prefer working in the USA or Australia more than India? Money! Once the government paves the way for free market capitalism and gets out of businesses best handled by privateers, it can increase the remuneration for judges and cops. Accountability is the primary requirement of every single judge and cop. Wherein accountability fails, it must be curtailed by the hire and fire method. Same applies for the bureaucracy (referred to as IAS in India). Where accountability fails, firing will be the immediate action. Robot police can also be used to curtail terrorism and mob violence, look at the 2012 Azad Maidan riots for reference. In some instances, human cops would rather be wary of taking action, but robots only follow orders, or even better, due to the advancement in the field of machine learning, robots can act with the given data! For a robot, it doesn’t matter whatever be the religion/caste/ethnicity of rioting mobs: Muslim, Hindu, Upper Caste, Lower Caste, Christian, whatever. It only knows one thing: Open Fire! This can be easily used to curb mob violence to a large extent. This reminds me of Robocop! And of course, one of my favorite metalcore bands, Bullet for My Valentine! Medieval minded religious savages will have only 2 options now: Modernize / moderate, or PERISH! That’s it for today folks! Really weary after a whole day’s work now! Thanks a lot for your valuable time! See you soon! Till then, it’s bye… from Iniyavel! June 4, 2016. 11:13 PM. Note: This is a repost of “Tackling Water Crisis” which I uploaded at 3:46 PM today (May 30), but when I changed the title of the post, the content disappeared! I was wondering this morning… Drought has gripped most parts of India and more than 300 million people are affected. So an idea that immediately crossed my mind was the artificial showers that were successfully implemented in the UAE. Indeed, this can be used to bring in rain when the need arises. But when there’s the need for sunshine, we can’t merely use artificial light to substitute sunlight. Sunlight contains valuable nutrients such as Vitamin D, Calcium, etc, which help nourish the crops to enable them grow better. In the meantime, I’ll be thinking of artificial means to transmit all nutrients that are present in natural sunlight in the absence of adequate natural sunlight. By the way, here are a few videos of Keukenhof, the Flower Garden of Europe situated in Lisse in the Netherlands. Beautiful, isn’t it? However, we in India are reeling under drought and can’t even get enough water for basic sanitation, forget making Keukenhofs here at the moment! Suffice to say if we manage water and sunlight properly and learn to tackle unfriendly weather conditions, we can make more Keukenhofs at home ourselves! Back to the topic: I propose a protective housing over vast farmlands that are close to each other. Phew! The above images alone took more than 40 minutes to draw on Microsoft Paint! Drawing them by hand is far far easier, but my laptop isn’t touchscreen, nor can I connect my scanner to my laptop at present! Against all odds! Coming to the first image: The green fields indicate the crops being grown, say paddy, maize, wheat, etc. The blue and light blue tiles constitute the housing over which rain falls and runs down into the drain (dark blue). This is during the rainy season. However It’s a glasshouse, a strong glasshouse with small pipes over its roof to collect all the falling raindrops. I couldn’t draw it on Microsoft Paint. It will take a vast amount of time, but I personally have a clear idea as to what I intend it to be. Coming to the second image: The cylinders (250 meters tall and 100 meters wide) below the ground collect the rainwater and direct them to the following/next cylinders through horizontal cylinders (that are 40-50 meters below the ground and 100 meters wide). I’ve drawn 2 cylinders, but instead of 2, we can use 3, 4, up to 10 cylinders depending on the number of crop fields adjacent to each other. The last cylinder passes on the water to a pressure-controlled water tank which processes and releases the water on to the nearest water body, which maybe a lake, a river, or an estuary. After all, even the great oceans depend on the rain for its water as described by Thiruvalluvar in the 2nd chapter of the Thirukkural. To put it in short words, this is a garden variety of the G-Cans flood defense system which I briefly described in one of my previous posts. Use cloud seeding to usher in artificial rains during the drought season and when farmers need water to grow their crops. Use artificial sunlight and nutrient transmission to nourish crops in the absence of adequate sunlight. Use a flood proof protective glasshouse to sustain heavy rains, floods and hurricanes, and prevent damage to crops. Return the water back to the natural water bodies to preserve nature. If need arises, use less than half of the water for personal, sanitary and other purposes, but it’s obligatory to return nature’s property back to her. That’s it for today folks! Thank You all for your valuable time! Till the next time, it’s bye… from Iniyavel! May 30, 2016. 4:28 PM. We Have Sizable Shale Oil Resources, Why Not Exploit Them for Certain Uses? 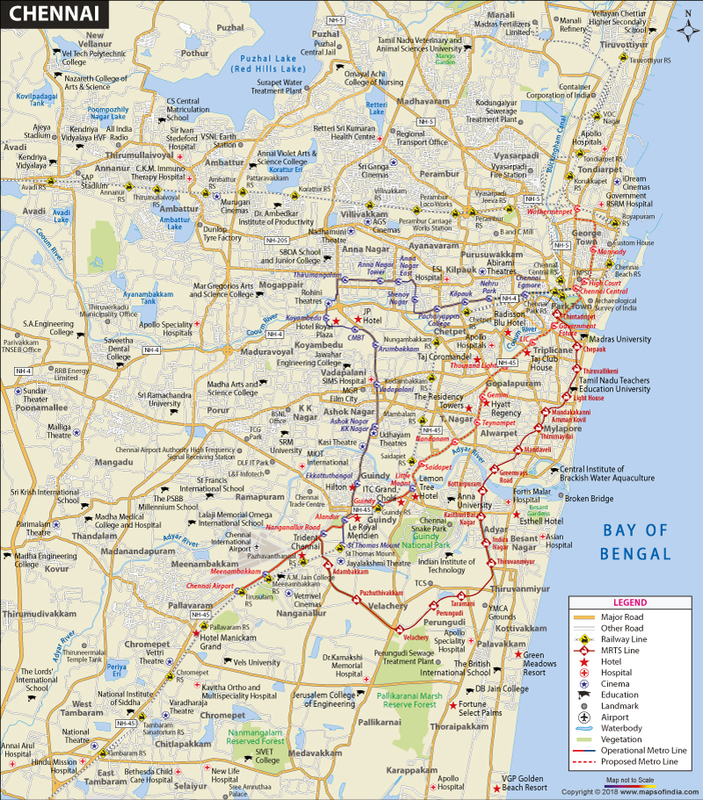 While looking at articles to pen my previous post on a drainage system to sustain floods and heavy rains, I chanced upon the fact that Chennai has a sizable amount of shale in its soil from Wikipedia. I was involved in a conversation with a friend of mine a month or two back and he revealed that the US was exploring shale oil as a substitute to crude oil. In a flash that conversation came to mind and the idea to exploit shale to produce our own substitute for crude oil hit my head. புதையல் மீது அமர்ந்தாலும் அடுத்தவன் எச்ச சோத்துக்கு ஆசைப்படுவது. That is, desiring for what someone else is eating (that too directly from his plate!) while sitting above a treasure trove. This saying stands not just for Tamils and Tamil Nadu but for Indians and India as a whole. India in my honest opinion has enough to become a superpower, nay, an empire. But this shameful behavior of Indians and Tamils as a whole has turned India into a gutter nation from where talent flees to greener pastures. Okay, back to the topic of this post that is shale oil. Though shale oil has a production cost higher than that of crude oil, there’s no harm in attempting to extract shale for energy as crude oil is rapidly depleting and running out at this point of time. Shale is present in plenty in Chennai’s soils. It’s a mud-stone and can be commonly found in mud. Above is a sample of what the mud-stone shale looks like. 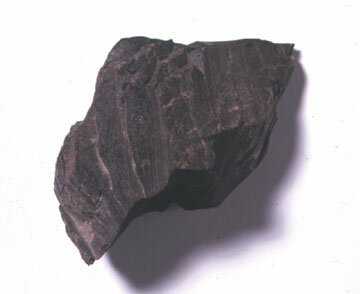 Typical components of oil shale gas are usually methane, hydrogen, carbon monoxide, carbon dioxide, nitrogen, and different hydrocarbons like ethylene. It may also consist of hydrogen sulfide and other impurities. (Source: Wikipedia). Indeed, shale oil can be used to produce gasoline, diesel and jet fuels. Here are a few articles that highlight how to extract oil from shale. Using shale and clay, I guess we can make Chennai the energy capital of Tamil Nadu. I believe every city has enough shale and clay for self-sufficiency, but since I live in Chennai, I focus on Chennai. Thanks a lot to all my readers for your valuable time. Till the next time, it’s bye, and goodnight… from Iniyavel (Twitter: @Iniyavel_)! May 18, 2016. 11:45 PM. It’s been raining for the past few days here in Chennai. Usually rains bring about a sensation of joy, especially in a place like Chennai where people experience its climate in terms of hot, hotter and hottest. But this was not the case during the infamous Chennai floods of November and December 2015 that left thousands of people homeless (at least temporarily) and led to upwards of millions of US dollars in terms of monetary losses to the public and possibly billions to the city and the state as a whole. More on that rather (wo)man made disaster here. So another similar rain at present (the week starting May 15-16 2016) followed by intermittent power cuts gives that eerie sensation that we’re in for another wild ride! So I was wondering today (May 18, 2016) as to what can be done in order to save lives, businesses and properties from heavy damage in the future. I read 2 articles on Japan’s G-Cans drainage system that has effectively mitigated the effects of heavy rainfall and tsunamis that are quite regular in that archipelago. I thank the Japanese companies, scientists and engineers who came up with this brilliant idea and credit them completely. I take no credit for the articles or ideas above. This post is just my opinion and sharing inspired by their ingenuity and brilliance. As I write this blog post, the rain seems to have reduced and the threat seems to be mitigated, but I keep my fingers crossed, just in case! Fighting over the legacy of Indian freedom fighters or distorting history to suit personal agendas and political vendettas. Picking fights with and over college students and purging universities. … and many more. Put me in the ‘not interested’ category if you will, as this ain’t gonna help any of us when push comes to shove! How that’s gonna help us at present or in the future is out of question. What’s standard practice in almost all countries seems futuristic or impossible in a country like India. Shame. Okay then, it’s time to get back to the topic of this post: The Drainage System. Here’s a proposal for Chennai city which I think needs more modification but will still be as effective. Meenambakkam Airport – Pallavaram – Chrompet -Tambaram with a pressure-controlled water tank (200 meters long and 80 meters wide) setup at Tambaram around 50 meters below ground to discharge water into 2 water bodies near Tambaram. Ekkaduthangal – Nandanam with a pressure-controlled water tank setup at Nandanam 50 meters below ground to discharge water into the Adyar River. Velachery – Periyar Nagar – Tharamani with a pressure-controlled water tank setup at Tharamani 50 meters below ground to discharge water into the Buckingham Canal. Ambattur – Ennore Port with a pressure-controlled water tank at Ennore Port 50 meters below ground to discharge water into the Ennore Creek. This way, water can be conserved better, heavy rains/floods can be sustained and rivers can possibly be revived. That should do for now. In the next post, I’ll address how Chennai can produce energy from within its own resources, namely Shale Oil. Till then, it’s bye… from Iniyavel (Twitter: @Iniyavel_)! May 18, 2016. 11:07 PM. This post is dedicated primarily to Punjab state, India, since elections are coming next year, and I’ve volunteered to give ideas for its future. Others can use and benefit too, if they will, but whoever uses this, they have to give me credit for my ideas! And no, I don’t include articles linked here outside my blog. I believe I’ve already addressed this here, however I believe there’s no harm in reiterating it in this post. But this time, I’ll brief it in steps. Incorporate sports activities in school curricula, because only if people are fit and able, will they be able to study well and work well. The reason most people today are unhealthy and get cardiac arrests very early in life is because they’re out of shape (either hideously skinny or goth-like) due to reduced physical activities and sedentary lifestyles. This must change. Make students think more. Doing assignments for grades is a must. Please refer to Coursera and edX to see how they work. Plenty of Indian students in both platforms. Rote learning is only a starter. One can’t drive a car in the first gear from start to finish. Time to pick up. This is for schools. Now on to colleges, rather than opening more and more colleges due to more students, open web platforms like MEC and MVA so more students can enroll. And I don’t mean free, I mean for a cost of a few thousand bucks per subject. Turn the remaining colleges into platforms for hands-on experience. Let them build gadgets, build robots, build engines, use aircraft simulators to learn flying, etc. there. Point 2 above stands valid in college as well. My idea of attending university is three days a week for practical hands-on learning, and every other day for subject lectures and assignments, from home. It’s really awful seeing people dying from stroke due to increasing heat almost every year! Assignments can be submitted via email. My idea of an exam is a proctored exam, that is, an open book and no Internet access test wherein students must think carefully by themselves and can use their books for reference alone, otherwise which the book holds no direct use for the exam. And again charge a few thousand bucks for each such proctored exam (subject-wise). CREATE AN FAQ SECTION FOR EACH SUBJECT. A crucial aspect of future (online) learning. A Frequently Asked Questions section is mandatory in relieving the pressure off professors. It must contain a general rules/guidelines section and must also include a subject based section with questions from students who have previously enrolled and finished the subject course, so TAs can redirect students to the FAQ subject section to get their answers, and in the meantime make way for new kinds of questions arising from students. If TAs can’t answer, let them forward the doubtful questions to the concerned professor for reference. As far as teaching is concerned, let the most experienced and hands-on professor take lectures across regions within the state where he lives. For example, a lecturer who lives in Chandigarh can choose to teach students from Chandigarh, and a few more other regions (Amritsar, Pathankot, etc) if he wishes. And a student from anywhere in Punjab can learn from their favorite lecturer online. For sure there will be no shortage of students for a qualified professor. But a proctored exam with more insistence on hands-on experience and core knowledge regarding the lecturer’s field of interest must be held throughout the state for potential professors and lecturers. In fact, according to this article, 80 per cent of the world’s lecturers are not needed any longer. For all those lecturers who are probably now metal thrashing mad at me, I have to say, the future is here, and I as an aspiring futurist insist you put your knowledge of your field of interest to practical use and reduce India’s dependency on USA, Israel, EU, China and Russia for almost everything, starting with BASIC ELECTRONICS via startups! The future Punjab government can support startups for this reason. Bear in mind that US, Israel and NATO (and possibly Russia) made weapons have KILL SWITCHES which can be TURNED OFF at will (theirs NOT ours!) and make all our weapons we bought from them USELESS. Self-sufficiency is the need of the hour, without which India’s aspirations of becoming a “superpower” can safely go down the drain. Back to the topic, qualified lecturers must receive high remuneration that would go into tens of millions of bucks, every year. This is separate from the fees students pay for tuition in every subject. Assistant lecturers who receive half or quarter that amount can conduct tests/exams and evaluate students. This sure saves a lot of money in travel, a lot of traffic jam and pollution on the roads, and road accidents. The money that the government saves in this can be spent to support startups and desperate people. Those who can afford will pay for the exams, but those who can’t, can request government support, but once they get employed, the government can get back their debts with interest and continue their functioning otherwise. IF SOME UNIVERSITIES GO DEFUNCT? Compensate the concerned individuals/companies, let the reclaimed lands be used to grow back forests, use them for agriculture, use them to setup a weapons/missiles depot, an office to employ industry ready people, a vehicle manufacturing factory, a showroom or whatever that benefits the nation as a whole! Is there a shortage of ideas on even these?! BUT IF ALL STUDENTS BECOME INDUSTRY READY, HOW WILL THEY ALL GET EMPLOYED? Let graduates initiate startups for this purpose. Startups should develop into big corps and employ more eligible industry ready graduates in the future. That is an economics problem for which I refer readers to visit http://www.sabhlokcity.com for elaborate detailed ideas. My basic suggestion would be to loosen the bureaucratic red tapes for startups and companies. After all, as of now, I’m just a 23-year-old happy-go-lucky guy who still has a long long way to go. I believe I’ve addressed the issue of education with 13 points above. My previous blog post linked above can be used to crosscheck and verify. Please don’t hesitate to ask doubts if the need arises. I wonder if anyone has read Thiruvalluvar’s take on the importance of Agriculture. If no, please read it here. For those interested in the entire work, please go here. And here’s an article that throws more light into India’s agricultural needs. For those who are weary and tired of the summer heat, here’s something the United Arab Emirates did a few years ago. Why not give it a try? Do something than nothing! The field of gene therapy is under research, so why not someone try solving the puzzle? My proposal would be to initiate startups via venture capitalism, government or private. Please take your clues from Paul Graham. He’s just splendid. Start off with startups, then enter joint ventures and mergers, and pick up pace from thereon. I addressed the issue of energy here. Nuclear fusion produces a lot of energy. It’s time to harness and deploy infinite energy and also solar energy in the face of the hot Sun in order to keep the state up and running. Update (May 18): I added a post on Shale Oil extraction here. I had a few ideas for infrastructure, which I uploaded here. It’s time to automate and increase the pace of development and also make it more flexible. I personally believe I’ve addressed key issues facing a state. If there’s anymore I can add, please let me know. I would personally like to thank all my readers for their valuable time reading my post. That’s it for today. Have a good day folks. Till the next time, it’s bye… from Iniyavel (Twitter: @Iniyavel_). April 22, 2016. 4:21 PM. Note: This is an urgent post since addiction is a serious problem that needs immediate help as and when it starts showing out its symptoms. Researchers give various means of handling addiction and retrieving addicts from the brink of disaster (or in most cases, from disaster itself). However, a clear understanding of why and how addiction occurs is a must to overcome this menace. First of all, let me define addiction. It’s the urge to do something continuously and regularly to the point wherein it becomes a habit that can’t be broken without external help or in very rare cases sheer willpower. And second, what are common substances that otherwise normal people get addicted to? The immediate thought upon hearing the word addiction leads to alcohol and/or drugs. But addiction can also extend to other substances like fast food, VIDEO GAMES (which is a rather growing problem, especially in first world countries), etc. What makes me write THIS post right here, right now, instead of other tech advances? Because addiction also is an important issue plaguing the FUTURE of untold millions, and as a FUTURIST, I must also be able to address the issue of addiction. What’s the use of our advancements as FUTURISTS if a good chunk of our own populace can’t benefit from it anyway? Our brain is 80% water and 20% fat and is made up of an average of 100 billion neurons. But our brain has an important system which is called the REWARD SYSTEM. And what exactly is this REWARD SYSTEM? According to Wikipedia, the REWARD SYSTEM is a group of neural structures that are responsible for incentive salience (i.e., “wanting” or desire), pleasure (i.e., “liking” or hedonic value), and positive reinforcement. Reward is the attractive and motivational property of a stimulus that induces appetitive behavior – also known as approach behavior – and consummatory behavior. For those interested, further details are given in the Wikipedia article linked above. Credit for this statement goes to Wikipedia. This article by the National Institute on Drug Abuse perfectly explains everything one needs to know regarding how the brain works and how drugs affect the functioning of the brain. Treatment approaches for drug abusers are given here. Credits to National Institute on Drug Abuse. Articles from Harvard and Colorado explain the brain reward system and addiction beautifully. Credits to Harvard and Colorado respectively. NCBI research articles that might be useful for those further interested: Paper 1 and Paper 2. Credits to NCBI. Primary rewards: food to live. Intrinsic rewards: when we win a tough game, for instance. Extrinsic rewards: money we earn through work. The brain’s reward system is exploited for intrinsic rewards like winning a tough game. In the past, rewinding back to the 80s and 90s, we had mostly single or a maximum of double player games using consoles like the NES, SNES, Commodore 64, Sega Genesis, etc, and didn’t play via the Internet which we started in the 2000s. Massive Multiplayer Online Role Playing Games (MMORPGs) can get especially addictive since they DON’T HAVE A DEFINED END and also they KEEP ADDING UPDATES to keep their business running. For example, the notorious World of Warcraft (Credit to Wikipedia), which was the poster boy for MMORPGs, launched in 2004. I point to you several articles on why gaming addiction is not a light issue to dismiss so easily. Reading all these articles will take around 2 hours. But how similar is this to drug addiction? And WHY exactly do they get addictive? Because IF THEY CAN’T ACHIEVE IN REAL LIFE, they prefer to live instead in a world where they can be everything they ever wanted and not what they don’t want to be. After all, why struggle when you can take the easiest way out? Alas, this is where the problem lies. The BEST solution to PREVENT addiction is to REWARD for changing behavior and not using PUNISHMENT except in the most extreme scenario. For further details, refer to the articles above and contact a reliable doctor/hospital to cure the illness of addiction. Thanks a lot to all my readers. That’s it for today. See you all next time. Till then, it’s bye… and good night… from Iniyavel! April 10, 2016, 01:44 AM. We Need This in India! This is possibly the best way to get things done fast in India! I propose a new machine that should move vertical pillars and not just horizontal steel structures! This will take hell a lot of investment, but what better way of spending money than this, if the only way it’s gonna go otherwise is in Swiss banks? Apart from all the proprietary food items, we need to bring machinery to fruition wherever possible. And since it will consume a lot of energy, refer to my previous post on ideas to create renewable energy. The cylinder from above. It’s hollow and has a removable giant lid. Step 2: Pour in the quick cement and let it form into a cylindrical pillar of any height, whether 100 feet, 200 feet or 500 feet, depending on the client’s requirement. For this, we do not need to do so from above the cylinder, but from a vault below. Let there be an open provision for the cylinder at the bottom to add in the quick cement via pipelines from trucks. Let it continue till the required height has been attained. A meter can be placed to check if the required height has been reached. Step 3: Once the cylinder is formed, open up the metallic cylindrical structure and take out the newly formed pillar from it, and close it again. Refer to the second video linked above for an idea as to how to build a 600-ton machine to carry this huge structure. Try thinking of a horizontal equivalent machine for this beauty, if you don’t mind. I don’t have any idea as of now, will update this later for sure. Promise! Step 4: Make sure your target location has the required base built and ready to place the cylinder. Use the newly built machine to place the cylinder in its location. Step 5: Continue this for the required number of pillars to place in order to build a bridge. This is just a tentative proposal to ease the business of building bridges and also, it will be easier to remove from its location if need arises. These pillars can also be made of steel if need be, so it can be easier to remove. Similar ideas can be implemented to build houses, tall offices, etc, so the arduous task of building is reduced. However, city planning is required as we cannot consistently deforest the land and seize more and more agricultural land. We must do this carefully so that cities will be enough to accommodate people while the natural environment remains unperturbed in the countryside. This is something I will cover in a post much later on. Well, that’s it for today folks! Thanks a lot to all my readers for your valuable time! Whoa, it just took me 45 minutes to come up with such ideas! Thoughts generate ideas, and these ideas must be converted into reality! Till the next time, it’s bye and goodnight… from Iniyavel. March 5, 2016. 9:36 PM. Here are a few articles I’ve come across recently. Why should India not implement these long term near infinite energy sources? And stack Petroleum beneath the earth’s surface for use during war time or emergency? I would like to thank all my readers for spending their valuable time in reading my posts. More ideas will come up in the following days. Till then it’s bye… from Iniyavel. March 5, 2016. 1:50 PM. In today’s world, as the population rises, so does the need for more education. Conventionally, there will be a need to develop more and more universities to cope up with the needs of the growing world population. So I come forth with a new idea. I. MAKE ONLINE LEARNING MANDATORY. Yes, as you guessed it, I’m referring to the Massive Open Online Courses (MOOCs) conducted by edX, Coursera, Open2Study, etc. But… in a different manner. Because, if all students start learning online from professors based in developed countries such as Japan, China, South Korea, Singapore, the US, Canada, Australia, etc, what about talented professors in developing countries like India and those in Latin and South America? Yes, make the most talented professors among them take classroom courses and shoot videos of their lectures to release online through their websites. Let the students discuss with the professors their doubts online. Let the professors hire TAs (Teaching Assistants) for this task, to handle student doubts online. Keep no limit on student enrollment. Let tens of thousands of students enroll. For every student enrolled, let the professors and TAs be paid a few thousand bucks to top their salaries (which will go to tens of millions every year). Also, let there be no limit on the time taken by each student to complete his/her courses. Let each student enroll in any number of programs as he/she wishes. If he/she finishes, say, an undergrad program before 4 years are over, let him/her receive the degree. They must pay ranging from a few tens of thousands up to a hundred thousand for each program enrolled, for every year, depending on the market value and the demand of the courses, both domestically and internationally. Let the financially weak apply for government support, and once they start earning well, let them pay back all debts with/without interest. And for that, reduce the bureaucratic red tapes. Okay, back to the topic, I’m not writing an economic/political administration post here. Such an idea will reduce the trouble of traveling for students and teachers. This is the future. But then what will happen to the universities that conduct such classroom courses? Let them be used for practical purposes. Let the average student spend 2 days a week learning how the world practically works. There are plenty of privateers who can surely lend a hand for this, so intimate them. But as I would usually say, let students attend more than 2 days a week if they wish, and let them finish even their practical courses at their own pace, whether fast or slow. Charge a few thousands for that as well. For the exams, make students write exams for each subject that resemble proctored certification exams like CCNA, CEH, etc. Let them answer elaborately and in a few lines (depending on the question), let it even be an open book test, but students must be made to think on their own, and how they will implement it practically. Charge a few thousands on exams for each subject. Keep separate practical or lab exams if need be, and also charge a few thousands accordingly for each practical/lab subject. Let a tentative timetable be setup as an ideal framework for the average student who hesitates to take an exam before its stipulated date or is too touchy as to take it after, but let students take this proctored subject exam at any time, whether it’s before or after the end of a year or a semester. And let them earn a certificate for successfully completing each subject. Charge a few thousands for each certificate. The world works on incentives after all. II. DON’T OVERLOAD THE PROFESSORS AND TEACHING ASSISTANTS OF A PARTICULAR CITY ALONE. Now the next question that will arise in mind is, how will we manage millions of students? Wouldn’t that create an overload? The answer is simple. Let the professors enroll N number of students from only their resident cities/districts, and other cities/districts of their preference. Let professors choose which cities/districts they will manage. Let there be a limited opening for students of other provinces/states and foreign countries. Let students who are citizens of the country but resident abroad also enroll if they wish to do so. This will increase the competitive edge of professors and their TAs. III. CREATE AN FAQ SECTION FOR EACH SUBJECT. Now this one is crucial. A Frequently Asked Questions section is mandatory in relieving the pressure from TAs and professors. It must contain a general rules/guidelines section and must also include a subject based section with questions from students who have previously enrolled and finished the subject course. So that TAs can redirect students to the FAQ subject section to get answers. And make way for new kinds of questions arising from students. If TAs can’t answer, let them forward the concerned questions to the professor for reference. IV. CONDUCT A NATIONWIDE OR STATEWIDE EXAMINATION FOR PROFESSORS. For students to become industry ready, professors must also be the same. So let professors attend (proctored certification kind of) competitive examinations on fields of their interest and pave the way for their future students. V. WHAT IF SOME UNIVERSITIES GO DEFUNCT? After compensating the concerned individuals, let the lands be used to grow back forests, use them for agriculture, use them to setup a weapons/missiles depot, an office to employ industry ready people, a vehicle manufacturing factory, a showroom or whatever that benefits the nation as a whole! Is there a shortage of ideas on even these?! VI. BUT IF ALL STUDENTS BECOME INDUSTRY READY, HOW WILL THEY ALL GET EMPLOYED? Let graduates initiate startups for this purpose. Startups should develop into big corps and employ more eligible industry ready graduates in the future. That is an economics problem for which I refer my readers to http://www.sabhlokcity.com for elaborate detailed ideas. My basic suggestion would be to loosen the bureaucratic red tapes for startups and companies. Alas, this is the future of higher education my friends. This is how I propose to manage the growing number of students and the problem of unemployment due to students not being industry ready. Because, once people start getting educated and busy, population will automatically plummet. Thanks a lot to all my readers for your valuable time! Whoa, it just took me a little more than half an hour to come up with the ideas above! A simple thought triggers a process, and it develops into an idea! Hopefully this idea turns into reality! Till the next time, it’s goodbye… from Iniyavel Sugumar! March 5, 2016. 1:28 PM.